Friday - Saturday: 5:30pm - 11:00pm. Complimentary parking provided for dining at the LA Prime Steakhouse. $7 for the BonaVista Lounge for first 3-hours. A New York style steakhouse specializing in prime beef and fresh seafood. Our 750+ award-winning wine list features an extensive selection of California reds. Awards: For the Best Wine List from California Restaurant Association 2010 and Wine Spectator Award from 2010 to 2018. Great service, great atmosphere, & great food! 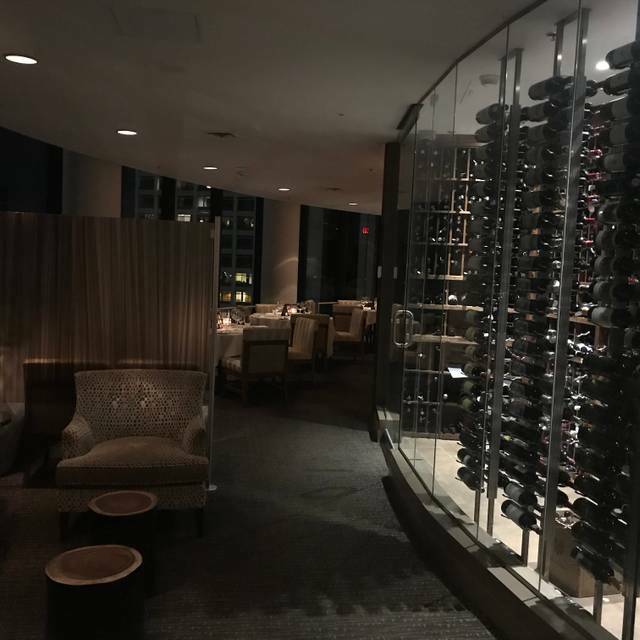 It was my first time at LA Prime and was impressed with everything there. The food was delicious and the ambiance was beautiful. Truffle risotto was modified to be a mushroom medley risotto without being communicated until the plate arrived at the table. Much credit to the server who offered a complimentary dessert for this gaffe. Visited for a birthday. We had a group of 11. We arrived to find that they had placed us in a private seating, we had not requested it, but it was great!! The privacy was awesome, especially with my loud latin family. Eleven women on the night out on the town, need I say more. Service was GREAT! We had 3 servers and the head chef came out to greet us. The view was so pretty. After the sun went down, we were surrounded by downtown high-rise lights. 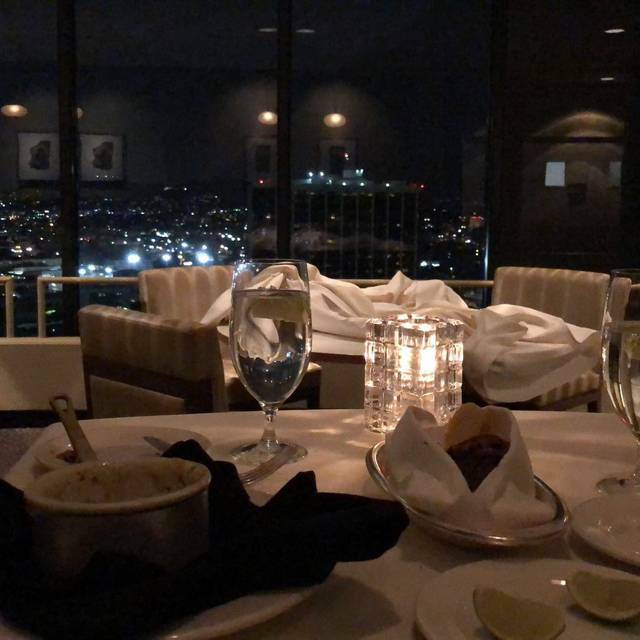 Pricing was on par with any other fine steakhouse (Ruth's, Flemings, Mortons), however you can't beat the view, which is why we decided on Prime for our celebration. Food was mouth watering. Some of my family had never been to a 'fancy, fancy' restaurant, they were pleasantly surprised of just how exceptional the food was (and worth every penny), and we decided we MUST do this at LEAST once a year and treat ourselves. Thank you Prime for taking GREAT care of us and providing exceptional service, and awesome food! We got seated on time. Service and food was excellent. The only disappointment is that there was a family with a baby that cried the majority of the time. My wife and I enjoyed a really fabulous steak dinner at LA Prime, where we've dined many times over the years. 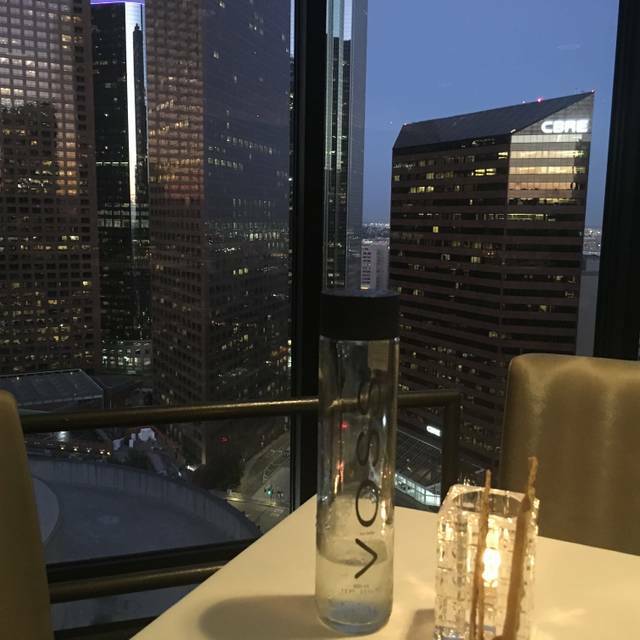 This is one "view" restaurant" that doesn't try to just get by on its amazing, 35th story city views! 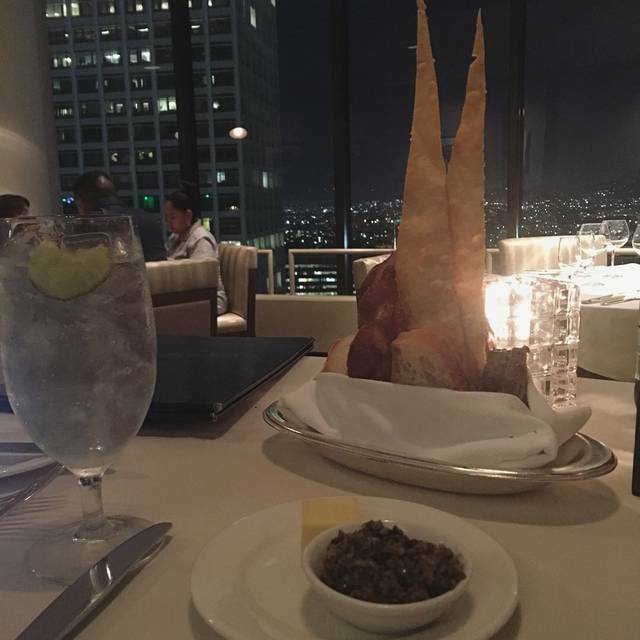 The food, service, and ambiance are just as good as the views! Our server, Vicki, has waited on us before and she remembered us. Not only has she been at LA Prime for about a dozen years, but she has been in the restaurant business for decades, and is the consummate professional! Every need or wish, however small, was anticipated and met. Her adept work, and that of her capable assistants, made the entire dining experience a joy! Our food was amazing; my lobster bisque and oysters (special) were flavorful and the soup was served piping hot (which is not always the case). Our steaks, mine a petite filet with a lobster tail, and hers a gigantic slab of NY Steak, were perfectly grilled, nicely seasoned, and appropriately hot. The salt-coated baked potato was big enough for 4 people! 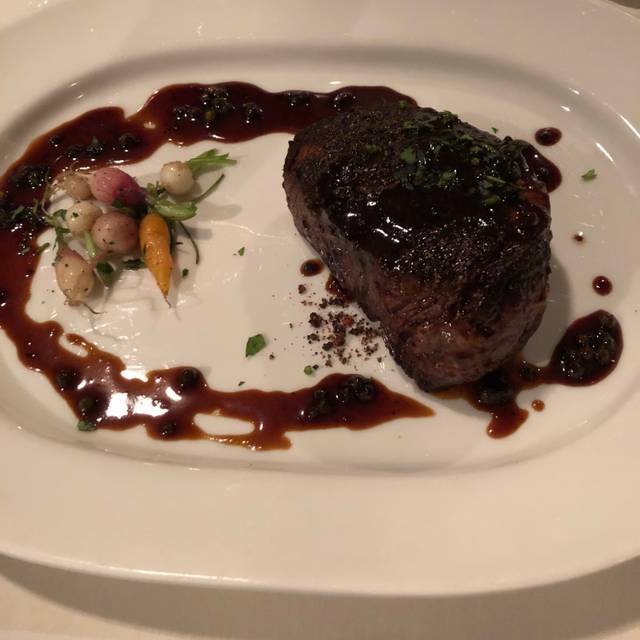 There is not one negative thing I could say about this meal; sure, it's not cheap, but you are getting top-notch, prime beef (and other delectable foods), served by professionals in an understated but elegant space, with a view to die for! Highly recommended, and if you go, be sure to request Vicki! New York Steak and Salt Crusted Potato’s are the go to courses. Incredible quality and service. He is sweet and kind. Loving. Thank you Mark for making our experience the best dinner ever. No waiting, we were seated right away at a beautiful table. Restaurant was quiet and nice. Waiter was very sweet, attentive, kind and patient. By far one of the nicest restaurants I've ever been to. Staff was incredible and definitely the best steak ive ever tasted. The food is good, but pricey. 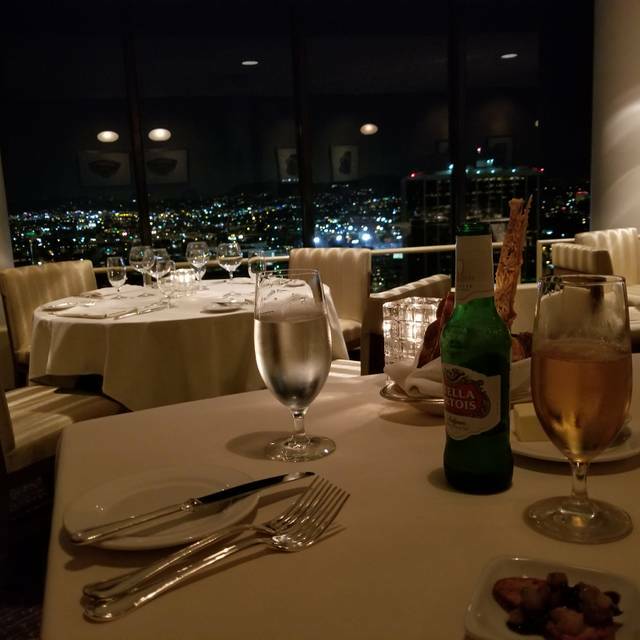 If you're looking for a place with a nice atmosphere, good service and a great view of the city and want to splurge every once in a while then LA Prime is a good place to go. I have eaten at LA Prime at least 5 times. I have always ordered the steaks, and each time they were cooked perfectly. The asparagus side dish is very tasty. Even if you don’t like asparagus, you should try it. 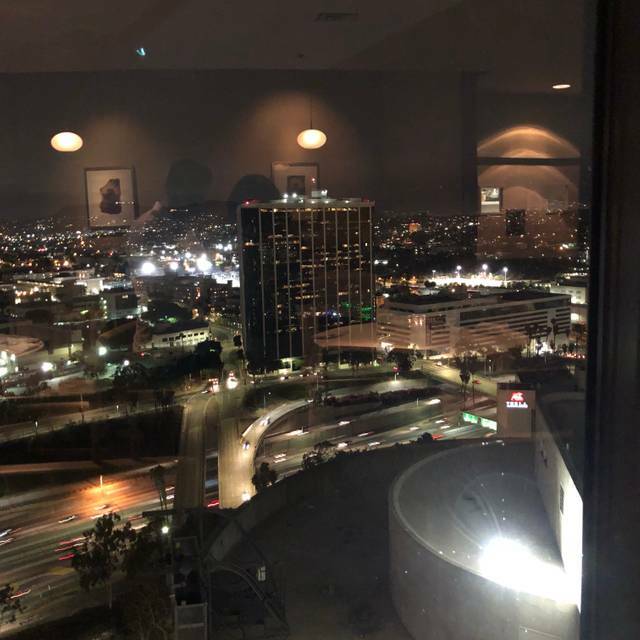 The view of LA is outstanding no matter where you sit since the tables away from the windows are on a raised platform. The wine-by-the-glass menu is excellent should you be dining alone. The waiter was amazing. He was very attentive and knowledgeable. Fast and friendly service was provided by all staff. Definitely a great place to visit while in downtown Los Angeles. 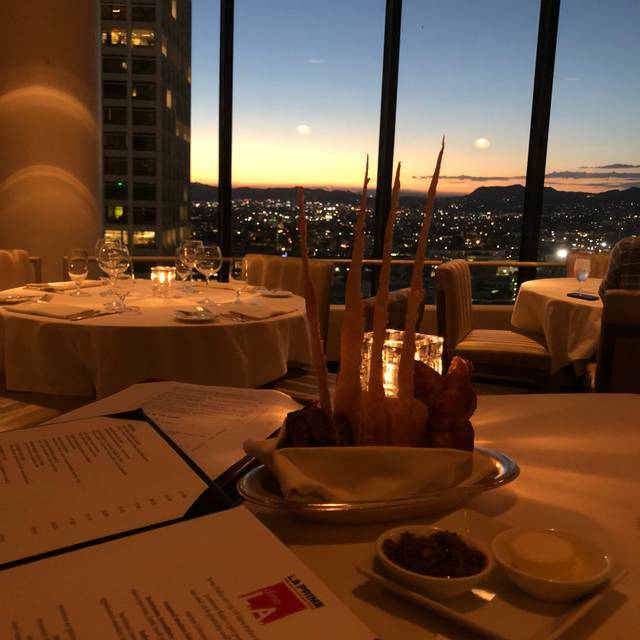 La Prime was a nice experience of class and culinary excellence with a tad of arrogance . There were only a couple of details that are important to mention. Me and my wife had to ask for the Mix drinks menu which means that not all beverages were shown to us at first instance. The second noticeable detail to mention was the removal of all other Silver-Ware on the table which was not necessary. The table was big enough for any extra plates to be added. The third and last detail was the removal of the amenities at the end. We explicitly ordered more bread and dissed olives for a reason. If you want to give an impression of economical advantage you don't need to save a couple of bucks. As a high class restaurant, you should be able to accept an amplitude of criticism specialty due to the outrages high dollar amount for each plate. I've had better steaks at the Outback Steak House and better service. Thank you for reading. 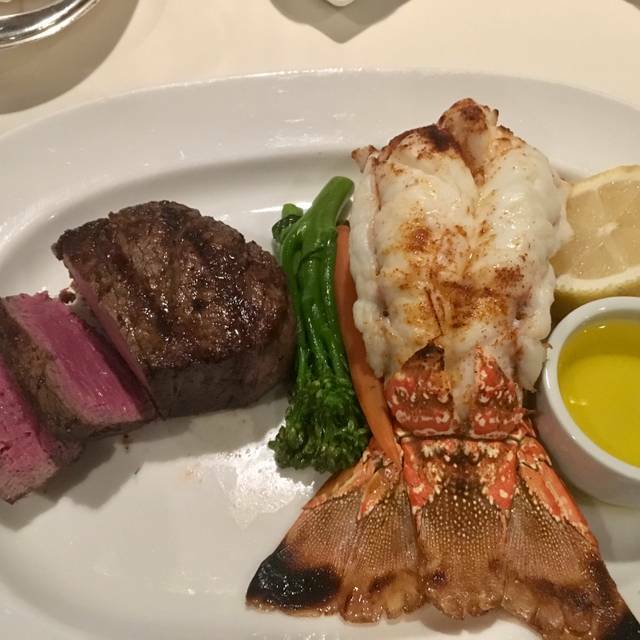 On the food: I’m a ribeye guy but was shocked to find the “Primal” NY to be much better. Standard fare when it came to sides, done perfectly though. Sauces were refined and texturally excellent. Views for miles. Service was good, though the restaurant was shockingly empty and quiet for a Thursday dinner. This may be due to their prices being around 10-15% high for every item. Then again, you do have to pay for that view. All around excellent meal and will be back even if a bit overpriced. Came out for a romantic dinner and was not disappointed. We were served quickly and our server was friendly and knowledgeable about the menu. Parking was very easy and the complimentary valet was a nice touch. We really enjoyed our dinner and the view was amazing! Great experience and ambiance. We came mid-week at the beginning of dinner service, so there was no crowd and fast service. I would definitely recommend others. Very good service, food is good, a bit on the pricy side but for special occasions it’s worth it. The Ambiance was gorgeous. Our Wait team was THE BEST... Mark and Juan! He made us feel warm and welcomed. He even tried to explain to me the price increase that I saw on the web and the actual menu. I went on what I thought was their Web site, to get a price range. When I opened the menu, to my Surprise it was noticeably higher in prices. Service, food, and ambiance were spectacular! Our first time there and my boyfriend and I both agree that this place was amazing. The service, good, view and price were all definitely within and beyond our expectations. Going back soon! It was amazing. They sat us right away, and the food was just incredible. It was a very memorable birthday surprise for my boyfriend. Our reservation stated we were requesting a table by the window for our 20th wedding anniversary. The host was the first point of contact and let us down. I understand that our table not being ready but the attitude of the host left a bad impression of the whole experience and restaurant. A smile and a courteous tone would have made the situation a better one. I recommend some customer service training for those who first greet your customers. They are the first and last impression of the business. Our server was phenomenal!! LA Prime has the best lamb chops ever! Celebrated my wife's retirement. Romantic setting with great LA city-lights outside. Food was very good. Filet & lobster great and the lamb was excellent as well. Loved the cream corn. They gave my wife a nice surprise dessert. Nice experience. It was my friends 30th birthday! The food was to die for! I absolutely loved the bread pudding! We were a party of 11 and they gave us a private room. The food was excellent and the service as well. It would have been nice to be in the main restaurant but large parties hard to accommodate. Food was not prepared as requested. Steak and lamb chops were ordered well, both meats were probably medium. Also they were not well season. Used a a lot of steak sauce for seasoning. I always order well so I know it’s possible to have a great tasting steak or lamp chop. Ruth Chris does it every time. I reserved a table for two next to the window, two weeks prior to the reservation date. We arrived there ( and got stuck in the hotel elevator on the 28 th floor, inside the see throu elevator for ten min, petrifying!) . As we finaly were rescued and brought to the restaurant, we were sat down to a table NOT near the window and when I asked why, I was told that it is only upon availability( so we didnt get what we reserved). The view is the only attractive thing in the restaurant so we were very disappointed . We kept on asking for water but the waiters were very strange and slow, kept on saying that its arriving soon but it took 20 min ( it was not that busy in the restaurant) and kept pointing at each other for the responsabily of serving us.We finally got water and ordered- sea bass and iceberg salad, the shrimps scampi and the onion soup. It was not worth its value at all, we haven’t even finished our main dishes, because the taste was not that good. Tried the banana cream brûlée , it was cold. So- very slow service, very mediocre food and VERY high prices. Wouldnt bother coming there again! Very attentive staff and good food but not amazing. Sides were good but steak that we had came out rate and they had to recook it. I don’t like when a prime steak house recooks the steak. If you screwed up a steaks temperature because you are not using a thermometer to test at a Prime steakhouse then you should recook an entirely new steak. Also when you pay an absorbent amount for a quality dinner and view you should not be put in back of a large party so the view is not visible. Overall experience was worth trying one time but most likely will not come back.